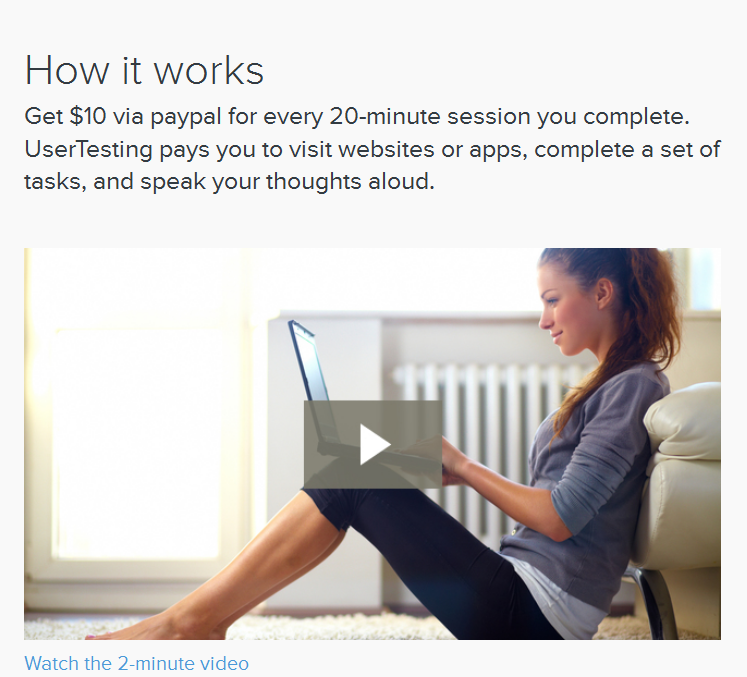 User Testing pays $10 per website that you test. Each test takes approximately 15 to 20 minutes to complete. Before you can start earning you need to register with them and download their software to your computer. You will then be asked to do a sample test to see if you qualify to be a tester. 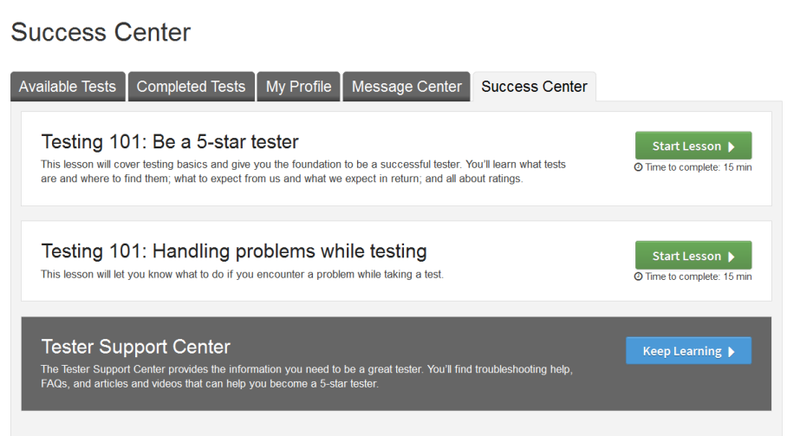 What exactly do you have to do to be a website tester with User Testing? All you do is follow the instructions sent to you. You will be sent to a website to test and you will be given a set of objectives to achieve on the website. You need to speak about your experience while their software records your screen activity. Once you have finished the test the software uploads the video. Once the video has been checked and assessed you will be paid $10. I found the overall experience great. For some reason I thought they would reject my sample test when I applied. I suppose it is about fear of failing a test! I received an email after submitting the video saying that they would come back to me within a week. 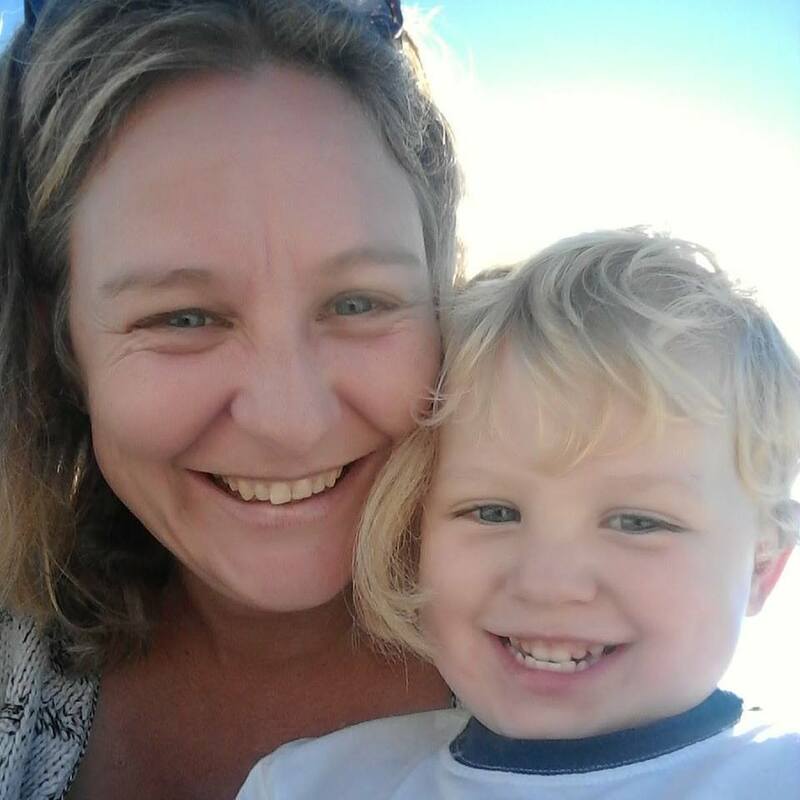 The next day I received an email confirming I had been approved and I was very excited. Over the next 2 days I received eight requests for tests. Four of these tests I could not take because the country specified was USA and I am in South Africa. Two more I could not complete as I did not qualify for the only screening question which was regarding the line of work I am in. The other two tests I qualified for and completed. I was paid out within a week to Paypal. Who is User Testing suitable for? If you want to earn some extra income this is a great way for you to supplement your income. They take you through a training session when you apply, and they ask questions afterwards to test how you understand everything. You can go back to the training to refresh your memory at any time. Email and telephone support is available. I have to admit, this is one opportunity I really liked. The earning potential per test is good, the whole experience was professional and the work is honest. I highly recommend this to anyone looking to add to their income. What is Crowdsource about? Can you make money doing freelance jobs or is this a scam? Excellent quick and honest review for this. It seems straight forward enough, and the fact that there is no cost involved tells me that they have no need to try to scam you, and they’re being paid handsomely for what they’d have you doing. Sounds fine to me. It also reminds me of taking legitimate surveys. They pay as promised, but don’t come frequently enough to live off of. Thank you for the review for these guys, I had never heard of them till now. Hi Brian. I am glad you enjoyed this. Yes I am getting quite a few notifications from them for new websites to test. I don’t get through to most of them, however there is only one screening question so it doesn’t take up too much of my time which is nice. I find this a lot more enjoyable than the surveys, at least the earning potential per test is much higher than a survey! There are a lot more website testing companies around, User Testing was the first one I tried so I will hopefully be reviewing some more soon. I think that is a very good review and as a matter of fact it set me excited to enrol as a tester as well. I am sure many of your visitors will also be excited by your review like I am. I looked into several User testing opportunities prior to finally settling at Wealthy affiliate. I think it’s a great way to make some extra cash, but like you said, it can take quite a few to make an income and thats only if they are available. Yes it would be an awesome opportunity if there were more tests available and coming in on a regular basis, but as something on the side it can add up over time which is nice. I am quite keen to give this a try. For a 20 minute task, $10 seems like a good pay. But I am a bit wary about this software that I have to download. What’s the purpose of it? Have you had any bad experience with this software so far? 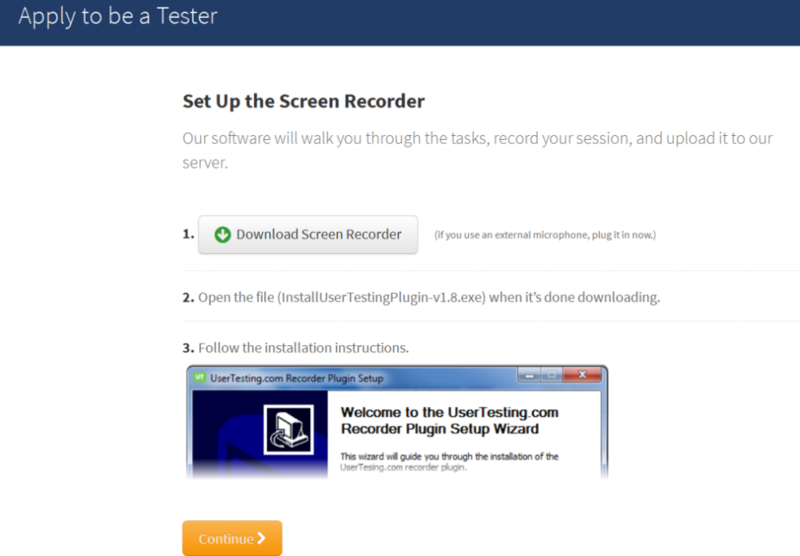 The software is just for filming the test and showing you the tasks. I am also not fond of downloading any software to my laptop but I have had no problems which is good. Overall this is a nice opportunity, the only thing that is disappointing is there are not a lot of tests you can qualify for as they are looking for specific profiles each time. Or rather I have struggled to qualify for a lot. So this is nice for a small side income but not nearly enough for full time.